YKK, japanese company borned in 1034, they are the biggest manufacturer and providor of zips worldwide. However the group is known for their zips, apart from these, thay make other industrial products like fasterners for clothes and accessories in all kind of shapes, sizes and materials. At state level, they are based in Barcelona and Tortosa. 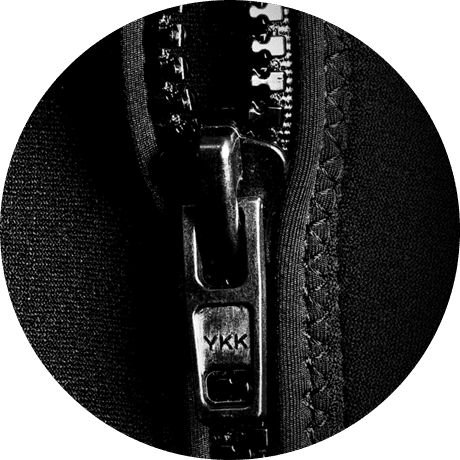 As world leader they have many manufacturing systems, YKK produces the best products of their speciality that you can always rely on them to make a difference on their customers lifes. YKK is a reference and pioneer on its sector and this is why it was also the first to digitize the company that incorporates custom mobile apps to work better. Like most of the companies dedicated on products manufacturing, YKK have employees dedicated on selling its products. With the customized app that app2u developed for them, its salesmen can access to the ERP information in a fast way and from everywhere. The YKK challenge was to equip their salesmen team with a technologic solution that allow them make the following in a fast and accurate way, being able to connect from everywhere with their ERP. At this moment YKK, pioneer in technology, tried to look for a solution to control its customers and bosst sales. Therefore, they instaurated an ERP on its salesmen team improving like this the relationship with its customers. 1. ERP acess inefective outside the office. They didn’t have client information, stock level, price changes or orders status data on real time. 2. Making reports about commercial visits by hand: which had to be transcribed to the ERP manually from the office. 3. Scatter of the reports information. At making the reports manually, the answers were scatter and open, what made really difficult get statistics. When they realized they could improve and speed up the way of working of the company and its salesmen, they decided to contact App2u, business apps. After analyzing YKK specific needs, from App2u we detected many different functionalities which were really important and provided them a lot of value. Like this we decided develop a customized app adapting at 100% our uSell CRM to cover their requirements. 1. Direct access to the company’s CRM. The sales force can consult all the necessary information before, during and after the commercial visits, speeding up access and strengthening commercial discourse. 2. Commercial reports made directly from the device. Salesmen can make their commercial reports from anywhere, at every moment and in an accurate and fast way. Getting like this a thorougher control of their sales opportunities removing like this the transcription process. 3. Statistics from the reports results. From the administration portal you can create templates and report structures, which allows companies to answer the questions. In this way, statistics are created automatically from the results of the reports. In every project like this, the integration with the company systems (ERP, CRM, etc.) is a key point to have the real information in as less as possible time improving like this the usability and he user experience, on this commercial case.. The final result has been spectacular with a quick and simple implementation. From App2u we installed the adapted app in all the YKK salesmen devices and, furthermore we made a specific training for a few days to the commercial department to can prepare correctly YKK employees. Like this, in a little less than two weeks their sales staff were using this mobile solution in its maximum splendor. This app was tailor-made to the company to speed up the process of making reports of the commercial visits thanks to mobile devices and the ease and rapidity of the app. This is why different manufacturing companies have decided to introduce uSell CRM, or an adaptation of this, in their day to day. Pontential improvement of the relationship with customers, having a more detailed control of the process and commercial following. Fast reporting on business visits in situ and when necessary: before, during and after. Notable improvement of the quality of the information gotten from the reports. At making the reports in situ, just after the commercial visit. Coherence and precision on the report answers, thanks to the templates and structure that let collect and switch the information. Draw conclusions and take conclusions from the result statistics. Hierarchy of users and teams to have a more comprehensive control of the entire commercial department. Calculation of routes between clients to be able to visit as many customers as possible in the shortest time.